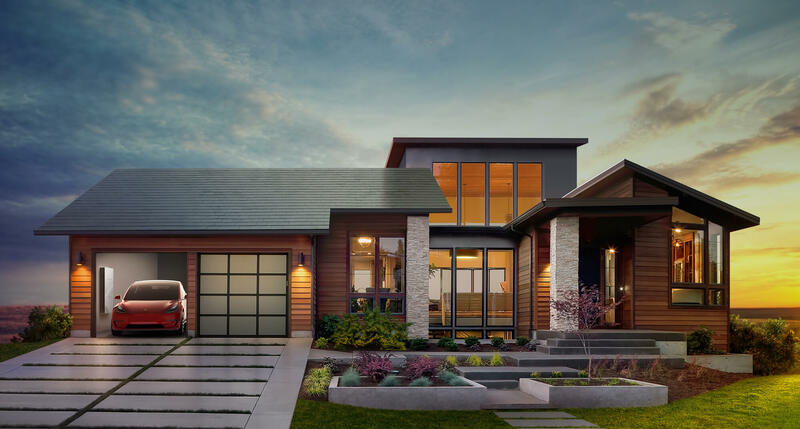 Tesla in late 2016 shared plans for a line of glass roofing tiles with integrated solar cells. The high-tech shingles were designed to look and function like conventional roofing materials with the added benefit of harnessing solar energy from the sun. Now roughly 18 months later, the first consumer installations (excluding early units installed at the homes of Tesla employees and other company brass) have taken place. Electrek first reported on installations last week but at the time, the systems weren’t connected to the local electric utility. That has since changed as one user reported over the weekend that her system is now up and running, likely making it the first working public Tesla solar roof installation. @Toblerhaus said the total price of the setup after federal kickbacks was in the mid-50K range in San Jose, California. Interestingly enough, she said that only about half of the panels on the roof are solar-collecting; the rest are “dummies” (only half a roof’s worth was needed to meet her energy needs). Another user, Tri Huynh in the Bay Area, said his whole solar roof system with three Powerwall home battery systems checked in around $100,000. His system can reportedly generate pretty much all of the electricity the home needs and can store excess energy in the Powerwalls. Tesla’s solution isn’t cheap by any stretch of the imagination although if you live in an area that receives abundant sunshine, it could be a worthwhile venture in the long run and increase the value of your home.